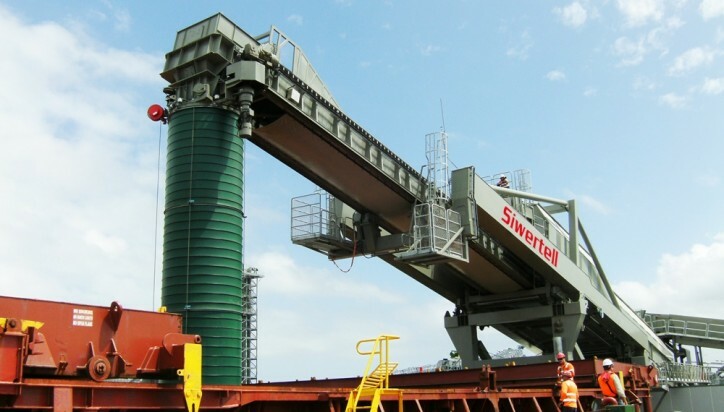 Siwertell, part of Bruks Siwertell Group, has secured an order for a ship loading system from Irish mining company, Boliden Tara Mines DAC; an operating subsidiary of Boliden AB. The specially-designed system will serve the company’s new terminal located in Dublin Port’s Alexandra Basin, ensuring close to zero dust emissions for the operator. The order was booked into Bruks Siwertell Group’s second quarter order intake. “Boliden required a flexible system capable of handling a variety of cargoes and a wide range of vessel sizes, but with a very strict approach to dust emissions,” explains Peter Göransson, Sales Manager and Senior Advisor, Siwertell. “Our lengthy experience and expertise in bulk material loading was a significant factor in winning this contract, including the fact that no efforts were spared in designing a triple-enclosed loading system that will ensure as close to zero emissions as technologically possible for the operator. “A high loading capacity, combined with easy system operation and low service and maintenance costs, were also significant factors in Boliden’s decision to invest in Siwertell’s market-leading technology. Additionally, it complies with best available technology (BAT) and reference document (BREF) regulations,” adds Mr Göransson. It will handle zinc and lead concentrates, which are transferred from rail wagons to a receiving storage building. From here, a conveyor belt leads to a new quayside facility in Alexandra Basin. Siwertell designs are well-suited for sticky and hard-to-handle materials and the new system will be capable of loading ships of up to 10,000 dwt at a continuous rated capacity of 600t/h. The steel structures for the ship loader will be produced in Far East and equipment will be mainly supplied from Sweden. The overland and jetty conveyor will be produced locally in Ireland with the conveyor equipment supplied from Europe. The system will be erected and commissioned at Dublin Port in partnership with an expert Irish company and is expected to be fully operational by August 2019.